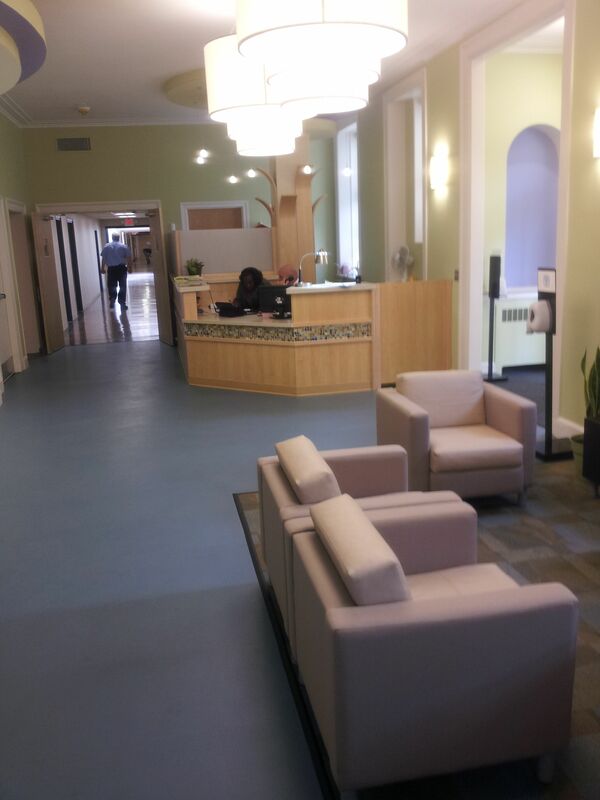 Marion, Mass.-based South Coast Improvement, Co. recently complete project in the reception area of Franciscan Hospital in Boston, MA. For the past decade, South Coast Improvement Co. (SCI) has provided design/build services to long-term care facilities, rehabilitation facilities and brain trauma units throughout New England and the Mid-Atlantic states. With the recent completion of projects at Franciscan Hospital in Boston, MA and Jordan Hospital in Plymouth, SCI has expanded its services to include hospitals. 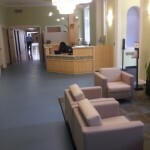 At Jordan Hospital, South Coast Improvement Co. provided a complete build out for the new Outpatient Spine Clinic. The project featured a reception area, new administrative offices and multiple exam rooms. Located at 30 Warren Street in the Brighton section of Boston, Franciscan Hospital treats young children with a variety of ailments. SCI’s project included relocation of the reception desk without ever closing down the entrance lobby-a logistical challenge that SCI met by completely constructing the new reception desk off-site and preparing the wiring in advance. Installation was as simple as dropping in the desk and plugging in the electrical. The other innovative component of the project was the millwork, which was designed to be blades of sea grass waving in the breeze. A cloud system was also constructed out of drywall and hung over the new reception desk. “This project was unique in that the design called for a very colorful, welcoming motif that suggested a seashore yet still had to meet all of the Department of Public Health codes.” says Sean Whalen, SCI vice president of business development, who worked very closely with the architect and hospital management to bring this to fruition. South Coast Improvement Co is a recognized leader in providing building and renovation services to a client base of senior living, healthcare and institutional clients. For more information, please call 508-748-6545 or visit www.southcoastimprovement.com.